they can be hard to understand. But you need to know the lingo to succeed at work. 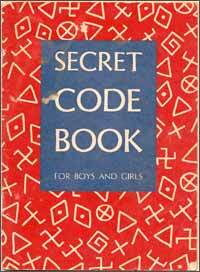 It would be nice if there was a real codebook. Having some basic financial literacy is a good business skill set to have. You should be able to read and understand the basics of a company's financials including the balance sheet and income statement. Even if you are not in business development (sales), you should also understand how your company finds new customers and makes sales. Most CEOs have done some time in business development. Everyone loves a successful hunter; it shows that you have a large number of skills. It is a good area to get exposed to when you have the chance. It used to be that if you did not know what a term means, you had to ask and reveal your ignorance. Today, you can Google it. If you don't Google it, you may get one of these. If you don't know the terms your company uses, you will appear as an outsider. If you attempt to use them incorrectly or out of keeping with your status in the organization, you will look like a poser. Many business terms have sports origins (home run) or military origins (G2). To wield terms correctly marks you as an insider with management potential. It is a tricky business. Some of these will seem very obvious to you because you've known them and used them, but remember they are completely foreign to other people. Others will seem so pretentious or arbitrary that they seem fictional, but they are all in use somewhere. Understanding that more of anything being sought can be generated and that it is not necessary for others to have less in order for you to have more. Opposite of Zero-Sum Thinking. Assignment. An appointed task, usually resulting from a meeting. At a well run company, these are carefully documented, clearly communicated and systematically followed-up on by completing and reporting results. Government term for vacation. Also known as PTO or paid-time-off. In Europe, holiday. As soon as possible. Similar is the less demanding ASAC = As soon as convenient. Unallocated time open for an assignment. Distinct from capability or skill to do an assignment. Best And Final Offer. In procurement, a resubmission of price and terms as a final stage of bidding for work. Estimate. Guess. Spitball. Throw darts. See SWAG - scientific wild-assed-guess. Capacity to do work. Borrowed from electronic information transmission. Refers to information and strategy available only to more senior staff. Military origin. In business development and sales, the formal process of deciding whether or not to invest the time and cost of pursuing a piece of work. Decisions are based on factors such as probability of winning, anticipated profit, effect on company image, availability of staff and capital, cash flow, technical and schedule risk, and impact to other projects and ongoing operations. To provide summary information about recent events, often in preparation for a meeting, or right after one (the latter is better known as debrief). Business process outsourcing. Hiring another company to do non-core business for you. The amount of money planned, requested, and authorized to spend on operating costs or resources. Rate of expenditure of cash on a project or especially at a start-up business. Agreement and support of an idea. Capital expenditure. A measure of the use of the company's market capitalization money. Reference to various Chief Officers of a company. CXO means chief blank officer where the blank is executive, finance, information, marketing, technology, strategy and other less frequent roles. Also collectively C-suite. Close of business. As in "The report is due by COB Tuesday." Cost Of Goods Sold. A major expense on a company's income statement that drives profitability. Revisit an issue. As in "Put that idea in the parking lot and we'll circle back to it later." The time it takes for a process to run from beginning to the next beginning. Slide presentation using PowerPoint or Keynote. At one time it referred to a stack of projector transparencies or "foils". Change or difference. As in the delta between two numbers. Dog and pony show n.
Presentation or demonstration. Usually more involved than just a slide presentation. May include hardware or software demonstrations. Fact finding research, especially for company merger and acquisition work. End Of Message. Used at the end of an e-mail subject line where the subject line is the entire message. Earnings Before Interest, Taxes, Depreciation, and Amortization. A measure of how much cash a business generates from operations. Fiscal Year. Financial year year. Not all companies run their accounting year January to December. Direct competition between short-listed firms, usually involving a prototype or pilot test. Fear, uncertainty, and doubt. Used to steer someone away from a course of action by making it appear risky. A marketing technique used by companies traditionally viewed as "safe" choices. Secret or hard to get intelligence like competitive information including pricing. Start-up of a system, project, business or other endeavor. As a noun, the date for going on-line. A fresh start, especially for a new building or research project. Contrast with brown field. Immovable time commitment. As in, "I have a hard stop at 11:00, so let's pick up the pace." Human Resources department. Responsible for hiring, firing, benefits administration, and sometimes payroll. A state of very productive work due to clear focus. Sensitive business information about the actions of other parties which provides some advantage. Often abbreviated to intel. Military origin. Interact with. Talk to. Correspond with. A collection of useful, reusable business information. Key Performance Indicators. Metrics selected to measure and evaluate because they are important signs of conditions. The rate at which a new skill, field, or business area can be understood. Normally viewed as expensive dues to pay to enter a new area of endeavor. Provide information to provide everyone with the same background about a topic, usually at the start of a meeting. Long pole in the tent n.
The task in a project with the longest duration, or that controls the end date. Lunch time training session. Also, called brown-bag symposium. A conceptual area to do business in, defined by any of location, product category. High level, often undeveloped, conceptual description of a technical solution. More likely a fanciful idea of the marketing department than an actual product plan that engineering is building. See Slideware. An invitation to a meeting sent by e-mail. Predominant among companies using MS-Outlook for e-mail and calendar functions. High level, often undeveloped, conceptual description of a technical solution. More likely a fanciful idea of the marketing department than an actual product plan that engineering is building. See Slideware. Bottom line profit after all expenses. Gist, bottom line concept, end result, at the end of the day. Very business-speak, so avoid using if unsure. No Reply Needed. Often in an e-mail subject line. Later, after this meeting, with a smaller group of participants. Often used to duck accountability for an awkward subject, as in "Let's take this topic off-line". One person to hold responsible. Also, one belly-button. Politically (gender) incorrect term from the 1980s for full disclosure. Cushion, fluff, or buffer added to a selling price to account for risk. Big change in thinking and perspective, often based on changing methods or priorites. A written list of ideas to be discussed in the future. Often on a large pad of paper on an easel in the corner. Used to keep meetings from drifting off topic. An initial test run or trial. Make a inquiry of someone for a simple answer or to remind. Verb meaning to present an idea. Noun meaning presentation. See deck. Borrowed from baseball. Point of contact. As in "We need one person to act as the single point of contact for contract changes." Paid Time Off, meaning vacation time in the USA. (In farm equipment, power take-off). In US government, it is to be on annual leave. The European equivalent is to be on holiday. Question, resist, or argue against. Probability of winning a proposal or bid. To obtain an early successful outcome from an effort to improve morale, support, or perception. Slowly increase as in capacity or output. Inquire, ask, probe, especially for uncommon information. As it happens live. Borrowed from computer science. Reduction in Force. Euphemism for layoffs, like downsizing, surplussing, terminating or right-sizing. Almost final review of a complete document or proposal before it goes to senior management for gold team review. A warning indication that there is a problem or risk which must be addressed before proceeding. To fail to have seen one that could have prevented a current problem is a bad failure. To re-purpose and reuse some idea, design, resource or asset. A direct report is a manager's immediate subordinate. In procurement, a Request For Proposal or Request For Quote. In RFPs, companies propose similar, functional solutions. In RFQs, company bid identical scope and terms and only price matters. In venture capital, taking a start-up company's business proposition around to potential investors. The amount of time or budget available to complete a task. As in "We don't have enough runway to get this on-line before Christmas." Seat on the bus n.
Position and role within an organization. As in "Get the right people on the bus, the wrong people off the bus, and everyone in the right seat on the bus." Increase in project scope beyond the amount contracted for. Opposite of feature thinning. An isolated department or functional area within a company. Typically has the negative connotation that one silo does not communicate or "play well" with another silo. The list of companies bidding on a project who make the cut and are asked to take the next step in the process, such as making an oral presentation of their proposed solution. Software which exists only in the mind of the presenter. See vaporware. Subject matter expert. Someone with strong knowledge of a specific topic. Circulate an idea to gain support and approval. To understate the severity, or to gently push forward an idea. Often involves telling an incomplete story. In procurement, the sum total of scope, approach, price, schedule, financial resources, staff, technology, team partners, suppliers, design, quality, installation, training, warranty, maintenance, technical support, service and operations that comprise the offer. Incorrectly used as a verb with increasing frequency. Stick to the knitting v.
Focus on what you are proven to be good at doing. Not diversify too much. From Tom Peters' "In Search of Excellence"
Mock-up or outline of a design, concept, proposal or plan for early review purposes. Verb meaning to create one. Long term, large scope, conceptual. Compare to tactical. A strategy can be comprised of a set of tactics. An additional level of performance beyond what is agreed to as baseline performance. A type of process flow diagram which segments responsibility into columns or rows. Reference to area of responsibility. Can mean start or stop discussing a topic depending on the current condition. Stopping is similar to "take off-line". Starting is similar to surface or broach, as in "I'd like to put Q3 sales on the table." Near term, small scope, practical. Compare to "strategic". That idea does not have merit or make sense. It is implausible. Throw under the bus v.
To position someone to be blamed. A short-lived task force assigned to solve a single problem. Three letter acronym. Deliberately humorous. A collection of assets, skills, techniques etc. available to solve a problem. Process or client knowledge that is not documented, but only exists as company folklore. Hard to train on this. Finished, ready-to-use, all encompassing. Or having all of the components needed in kit form. Benefit, positive aspect, redeeming quality. Intrinsic worth of a sales or other offer. A product, especially software, which does not exist yet except as a concept. See slideware. 1. Degree of conspicuousness to senior management. 2. Access to valuable information. Bold leadership direction. Part of the Mission, Vision, Values trio. Sometimes confused with principles. Investment money from commercial sources who lend in exchange for high returns, and managerial control of start-ups or growing companies. Area of responsibility and expertise. More like "Strong suit" than bailiwick or court. A negotiation where both parties are getting a good outcome. Popularized by Steven Covey who explained that it is often the result of "seeking first to understand, then be understood" and "synergistic thinking"
The output or outcome of a process. Often measured as a percentage of the output divided by the input. A mindset that assumes that in order for one person to get more, someone else must get less. The opposite of abundance thinking. Synergistic thinking assumes that the right answer is to make more pie, not just get a wider slice.